This was the second attempt at expanding “GMA,” which had long trailed NBC’s competing “Today” show in advertising revenue stemming from its four hours of programming. 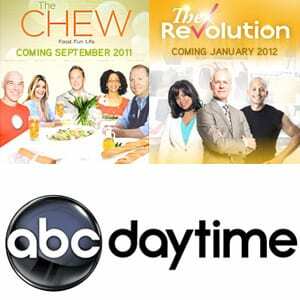 After finishing out its run in early July 2012, “The Revolution” was replaced by “Good Afternoon America,” hosted by Lara Spencer and Josh Elliott. Ratings for “GAA” were on par with the ratings-challenged performance of “The Revolution.” The program aired in the 2:00 p.m. timeslot until it was replaced by “GH,” which was moved up an hour following ABC’s decision to return its long-held 3:00 p.m. slot to its affiliates in hopes they’d be willing to pick up the Katie Couric hosted syndicated talk show, “Katie,” for their stations. “Katie” ran for only two seasons despite being the highest rated new daytime talk show when it debuted. ABC returned “GH” to the 3:00 p.m. hour in eight markets beginning in the fall of 2014 with no other time slot changes made since. In the fall of 2015, ABC’s syndicated arm launched the since-canceled talk show “FABLife,” hosted by executive producer and creator, Tyra Banks. The series was quickly canceled despite being retooled following Banks’ departure. It was replaced by the viral video series “RightThisMinute,” which received immediate station upgrades in the fall of 2016 and continues to air today on the aforementioned eight affiliates that no longer air “GH” at 2:00 p.m., although that will change come this fall when Walt Disney Television’s rebranded syndication division, Walt Disney-Direct-to-Consumer and International, launches the Tamron Hall hosted daytime talk show on those stations with more than 85% station coverage ahead of its September 9, 2019 launch. So, now that you read all of this history, how does this all relate to “All My Children” and “One Life to Live” in the future? While ABC currently has no plans of regaining its fourth hour back from its affiliates, there have been some rumblings in recent weeks that the network might be considering a hybrid soap block that would find both shows back on the air as either two individual half-hour programs or an hour-long integration of characters from each should the network cancel “Strahan & Sara.” There’s also been some talk of a second online reboot now that Disney retains 60% control over Hulu with its 25 million subscribers. And, with the official unveiling of Disney+ on Thursday, April 11 during Disney’s Investor Day presentation, there’s even hope that ABC’s parent company might bring the shows to the highly anticipated streaming service that immediately drove Disney stock upward during trading hours the next day. It should be noted, however, that Disney has made it clear that Disney+ will house more family-oriented programming and films while Hulu will be the place for more adult productions. Disney+ launches November 12, 2019, at a price point of $6.99 a month. Pushing the renewed talk of “AMC” and “OLTL” revivals stems from a recent interview with Karey Burke, president, ABC Entertainment. 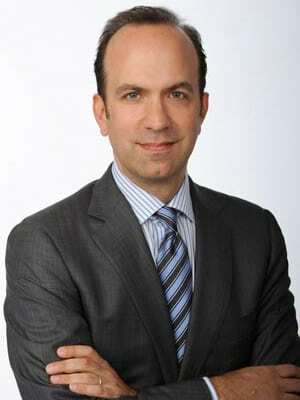 Following ABC’s presentation during the Winter Television Critics Association press tour in February, the executive, who only took oversight of ABC Entertainment in November 2018, said in the March 1, 2019 edition of Soap Opera Digest, “There might be some conversation about that,” when asked about another revival of the soaps. This was after she had spoken highly of “GH’s” future on the network. “‘General Hospital’ is going strong, and I hope that show continues long after I don’t have this job anymore. I’m a fan,” Burke said. A fan of the current trend of reboots, Burke is currently weighing her options for the fall 2019 primetime lineup as reboots of such iconic series as “NYPD Blue” and “New York Undercover,” with several of their returning stars, are both under strong consideration. And with the mini-reunion of “AMC” stars popping up on “Strahan & Sara” and “Live with Kelly and Ryan” in recent weeks, fan interest has remained strong in the property.